Proudly serving Hampton Roads and the surrounding areas of Virginia. Welcome to Precision Home Inspectors, a fully insured multi-inspector company owned and operated by Rick Carroll. Our professional home inspection team is proud to guide you through the process of learning about and purchasing your new home. You’ll soon discover that all of our inspectors are trustworthy and dedicated to offering unbiased advice about your potential purchase. We understand this is one of the larger investments you’ll make during your life. Precision Home Inspectors is committed to the success of this investment, and focuses on presenting you with the facts about the home without any conflict of interest. We typically offer the flexibility of three inspections a day at 8:30 AM, 12:00 PM, and 3:30 PM with some weekends available. Please feel free to contact us and schedule your appointment! The home inspection company you choose to work with will make all the difference when it comes to your home buying experience. By choosing Precision Home Inspectors, you will be working with a company that has over 35 years of collective experience and over 25,000 home inspections completed for happy homebuyers like yourself. Our dedicated team at Precision Home Inspectors has been a top-rated franchise in a group of 500 franchises; at times we were #1 and #2 over the last 20 years. We believe that this is because we offer permanent solutions for our customers rather than quick fixes. What we see are symptoms during your inspection (i.e. water stains) – we dig deeper, finding the source of the issue and offering a more comprehensive understanding of the home, making your home buying experience less stressful. Hampton Roads of Virginia and the surrounding areas, including Virginia Beach, Norfolk, Chesapeake, Suffolk, Portsmouth, Newport News, Hampton, Williamsburg, Franklin, Smithfield, Isle of Wight County, James City County, and Gloucester County. Immediately after the home inspection, we print a summary of your inspection that contains the information we collected during the walkthrough of your home. 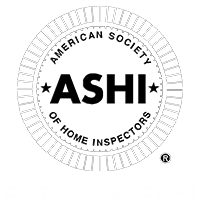 Later that evening or the following morning, you will be emailed the full version of your report complete with helpful photos and a copy of the ASHI standards that we abide by while completing the inspection. We generate our reports using HomeGauge Software. You’ll be happy to find that your report contains an easy-to-use Create Request List™ (CRL™) tool, which takes the headache out of communicating your requests for home repair. Along with your Realtor, you can simply use our findings to assemble a list of issues and how you’d like to see them be addressed. Contact Precision Home Inspectors today to discuss your home inspection needs with a highly qualified certified Virginia inspector. We offer a military discount – call now to book your inspection or ask us questions. We are here to serve YOU!